Three out of four American eighth grade students cannot write at a proficient level, and cutbacks in education funding have limited the amount of individualized feedback students receive from teachers. Studies show that daily writing exercises that provide students an opportunity to express themselves improve writing skills and increase confidence and engagement in the classroom and the wider community. 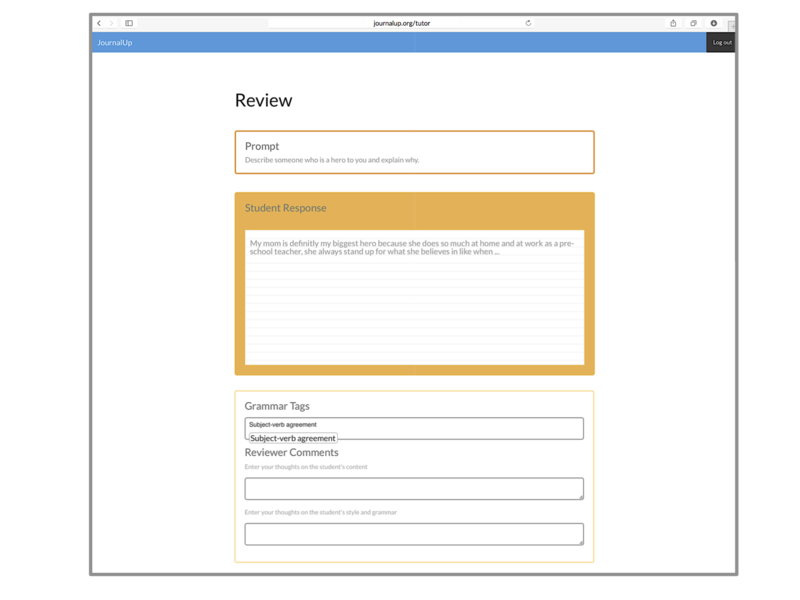 The idea behind JournalUp is to supplement in-class writing instruction with a remote connection to writing tutors who provide feedback and encouragement. JournalUp is an education start-up created by two Penn students, Jake Lerner and Valentina Raman. Their proposal placed second in the Milken-Penn GSE Education Innovation Competition, and they will be partnering with the Penn Critical Writing Center and area middle schools to launch JournalUp in fall 2015. At the moment, the application will be used by several Philadelphia middles schools in collaboration with the Critical Writing Center at the University of Pennsylvania, whose tutors will have the opportunity to volunteer for the JournalUp program. When the app launches this fall, the JournalUp team hope to see increased student engagement and measurable improvements in quality of writing. 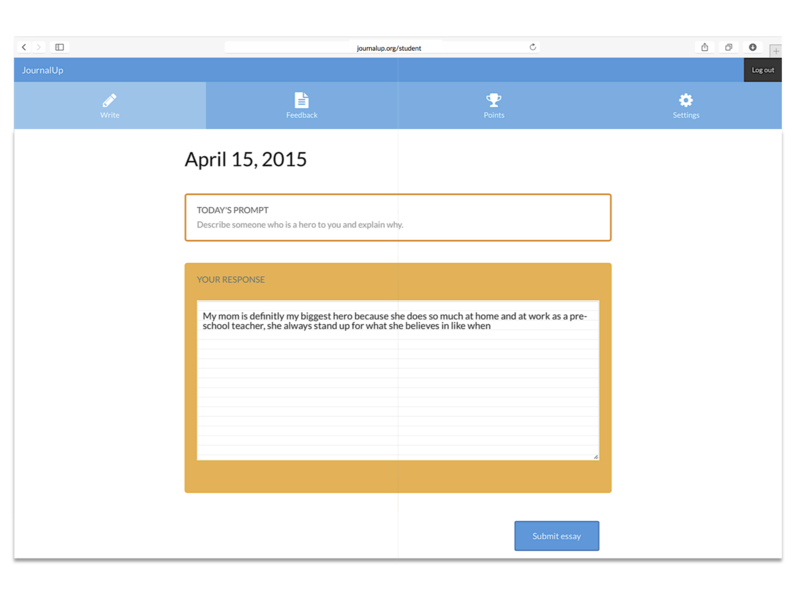 Every day, the application presents students a prompt about a relevant topic and asks them to write a short entry in their journal. These submissions are anonymized and sent to college student tutors. 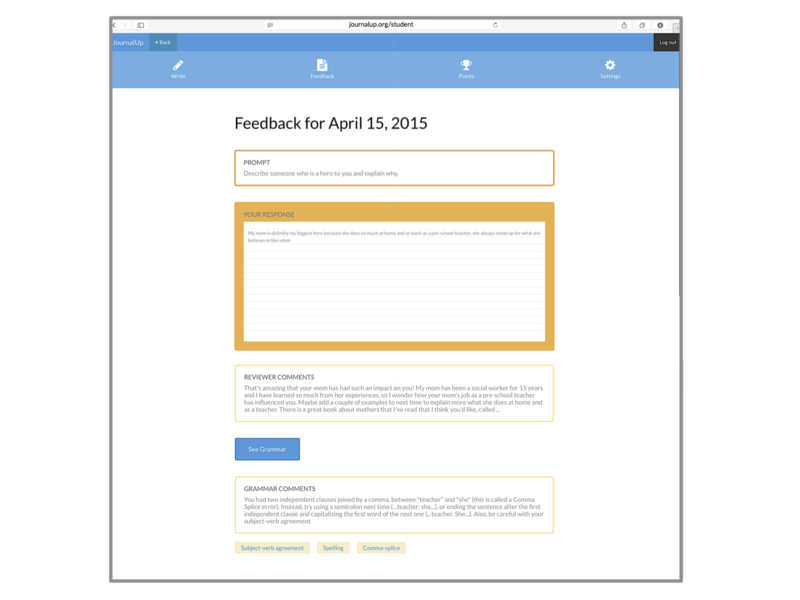 College student tutors provide both grammatical and stylistic feedback. College student tutors provide a substantive, engaging response to the content of the submission. 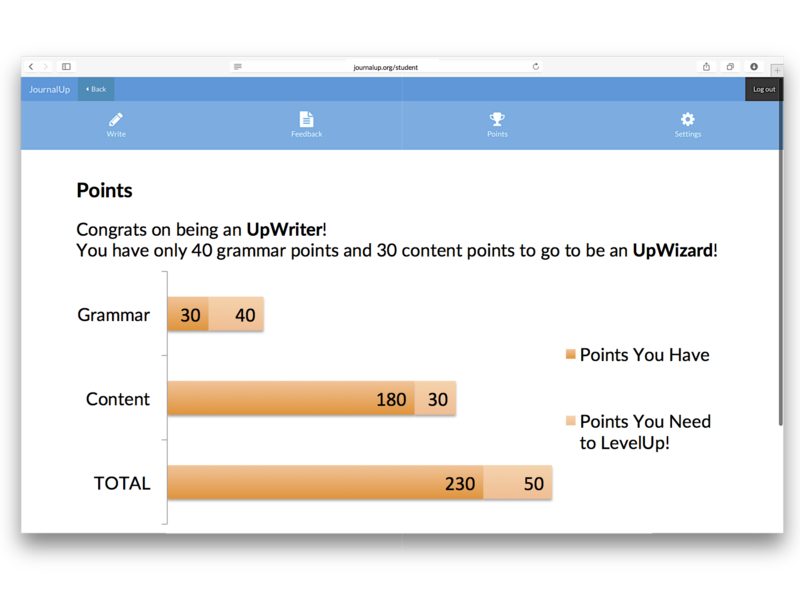 Teachers and administrators can track students’ progress and reward those who complete the writing tasks every day. The clients approached us with an ambitious, evidence-based plan for improving student writing. We discussed at length the unique needs of the various parties who will be using the app–the students, their teachers, parents, school administrators, university tutors, and the JournalUp team. 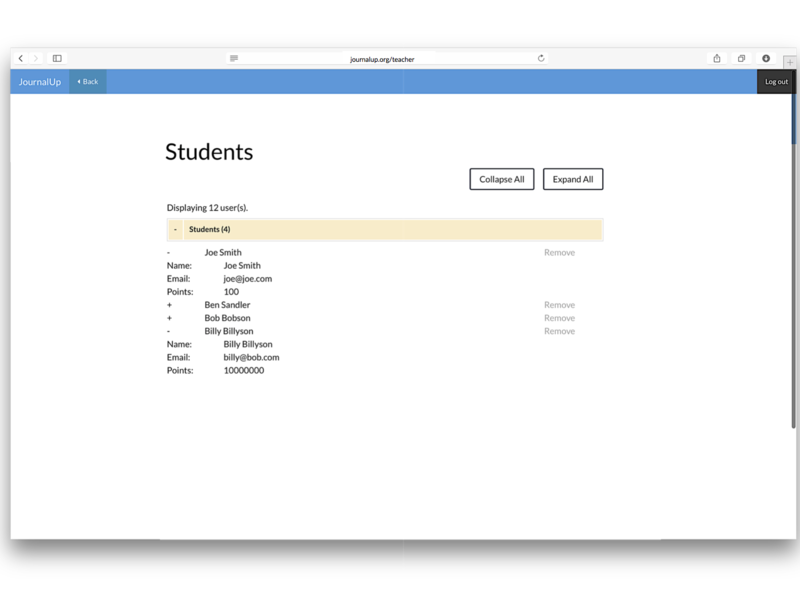 Our priority was to design an extensible and well-integrated product that would allow progress to be measured, while maximizing student comfort with the program, and academic confidentiality.